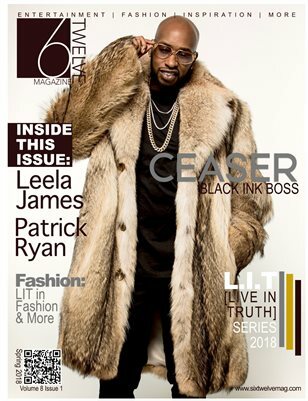 VH1's Black Ink Crew's Boss Ceaser Covers 6Twelve Magazines' L.I.T. 2018 Series. Living in truth is what we all aspire to achieve. Coming from humble beings to become one of he most watched bosses on television, we are honored to have Ceaser share in 6Twelve Magazine's Journey to engage, educated and empower our readers. Live In Truths Daily!! !